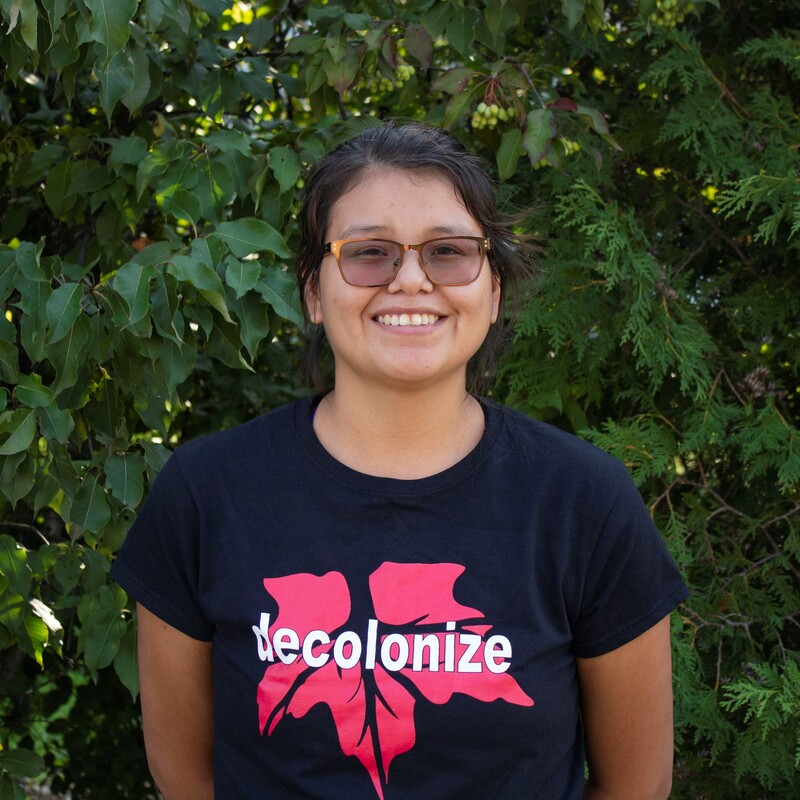 My name is Katrina and I am a settler on unceded Musqueam, Squamish, and Tseil-Waututh lands. I’m a 4th year health sciences student at Simon Fraser University and a research trainee studying HIV/AIDS. I’m excited to be involved with CRE, and to develop a deeper understanding about my responsibilities as a settler living on Turtle Island. I’m passionate about dialogue that creates solidarity and celebrates differences, and also about cycling. Uy’ skweyul Eenthu Iiyowshtuwutth, Tun’itsun utl’ S-amun’a Nilh Shmalquimulwut tunu T-en Nilh Pulhwulmulwich thune M-en Nilh Tul’tsimi’at ‘i’ Hwiulenuhw thunu su’si’lu. Uy kwunus ‘i’ lumnamu. huy tseep q’u kwus ’i m’i tetsululup ’u tun’a kweyul, hwu’inamut. Good day, My name is Iiyowshtuwutth, my English name is Angelina Rice. My hwulmuhw name means “the teacher of many”. I’m from the S-amun’a village here is the Quw’utsun Territory on Vancouver Island. My parents are Martin Louis and Ann-Marie Rice. My grandparents are Rebecca Campbell and Ronald(BIll) Rice. I’d like to take the time to thank everyone to read this. Traditionally, we introduce ourselves, say where we come from, say who are our parents, grandparents so people have a sense of which family we come from and how we carry ourselves as people. I grew up very traditionally, was supposed to carry myself a certain way. All the teachings I’ve been taught, I use in every aspect of my life. I have been involved as a young leader since I was 15 years old. I sat as a student representative for 3 years on the District Student Advisory Committee until I graduated. I sat as the activities coordinator for 5 years for the Cowichan Tribes Youth Council. On my last year as activities coordinator, I created a conference based on suicide awareness, I named it Youth Empowerment: Stsielhstuhw Thun Suli’ (Honour Your Life). It was a two day event that didn’t just include youth, it also included teachers, social workers, youth workers and anyone who had contact with youth on a day basis. Shortly After I moved to Vancouver, I was on a committee for the Lu’ma Native Housing Society Youth Advisory Council. They focused on youth that were aging out of care, helped create programs for them. Recently, I have been part of two teams, 1 for Tse’tsuw’ Suwalum’ 2018 (Coast Salish Games) which was a 4 sport event that targeted children and youth between the ages 6-12. Currently I’m the Camp Cowichan Supervisor and run a camp for 59 kids that are between the ages 6-12. In September I will be returning back to school to finish my bachelors in Social Sciences. I have 11 month old son, that I love dearly and hope I can set a good example for him as he grows to be a young man. Abeer Yusuf is a journalist, media professional and community builder. Abeer migrated to Canada four years ago to pursue her second Masters in Journalism at UBC, and has been working in the media landscape for the last 8 years. 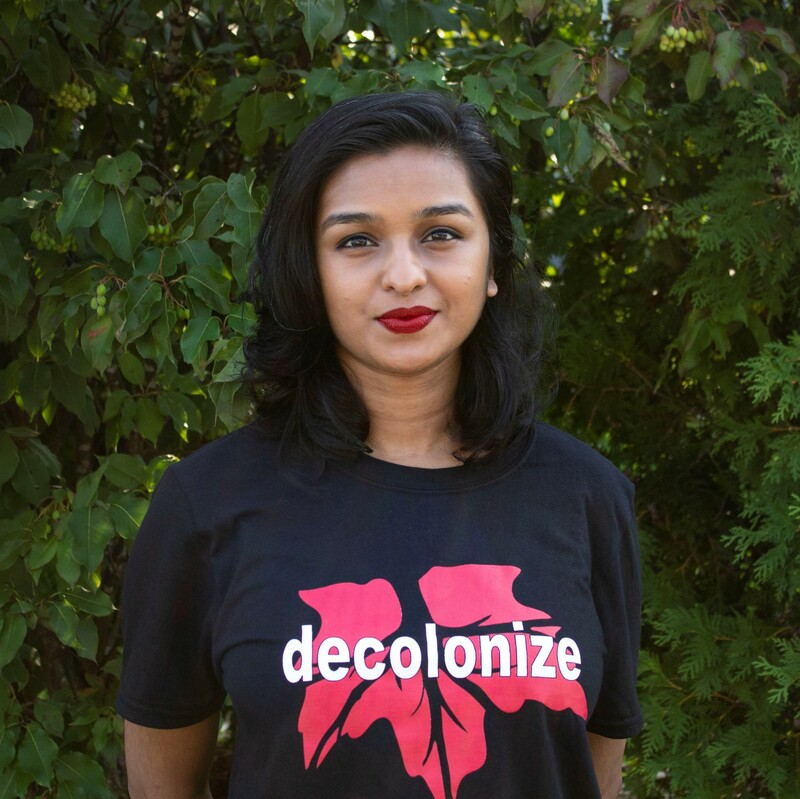 Her interests are many and lie in authentically building connections and community, intersectionality of race and culture, looking at identity and how we belong in places, as well as systems change and dialogue engagement. Her passions include reading fiction, beating Google Maps’ walking estimates, the colour yellow and eating chicken biryani. Abeer was born in India, lived in the Middle East and Malaysia for most of her life, and now spends her time between Vancouver and the Internet.